"For outdoor escapes and alpine treks, this stretch action gilet features a highly versatile ELEMENT SHIELD ACTIV 3L laminated build for venturing into chilly mid mountains. Worn over a mid layer, this dynamic softshell jacket is windproof, has a DWR finish, and is resistant to wear, in a supple and lightweight package. 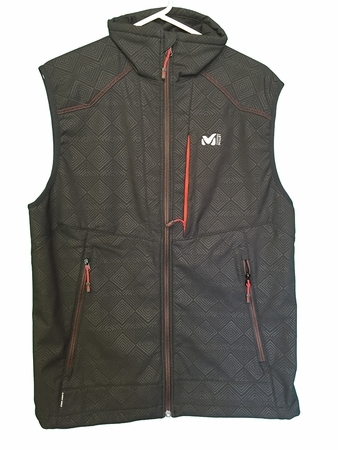 The brushed fleece lining retains cozy warmth in cold conditions while delivering the breathability required for active disciplines. Efficient in many kinds of weather, the TRACK gilet gives top priority to feelgood comfy ergonomics and an everyday technical style. ELEMENT SHIELD ACTIV DYNAMIC LIGHT"